Described as the most trouble-free of all apples, Liberty is the result of years of work by fruit breeders to develop an apple that would free growers from the endless rounds of repetitive spraying. Released in 1978 by the New York State Agricultural Experiment Station, Liberty has lived up to expectations. 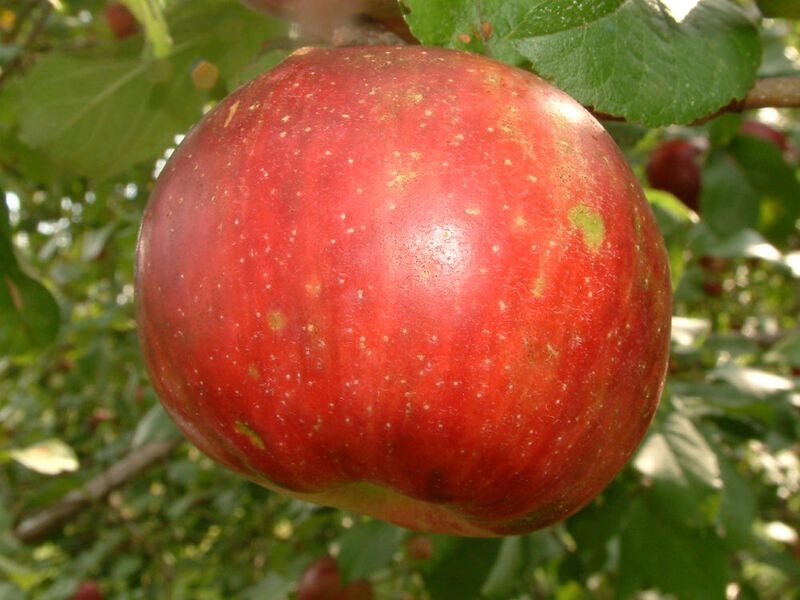 A cross of Macoun and an experimental apple variety, it is a deep red apple with great eating and baking qualities. The fruit is medium to large with rich yellow skin overlaid with dark red stripes and splashes. The pale yellow flesh is crisp, tender, juicy, and quite flavorful. Ripens late September to early October, depending on location, and improves in flavor over a couple of months of storage.